Wild Rivers Realty, 212 E Margaret St, Iron Mountain, MI 49801. 906-774-3158. 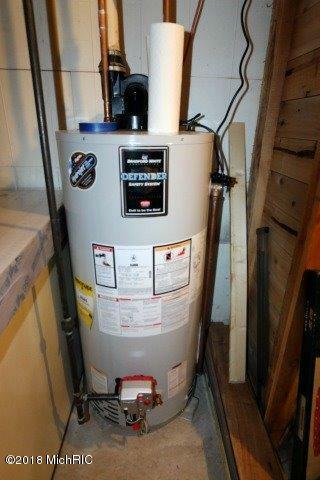 Peggy Connors. 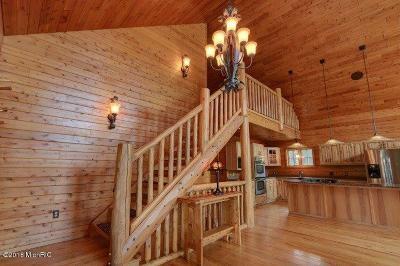 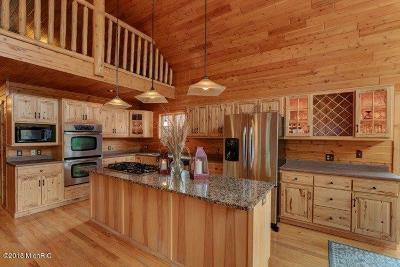 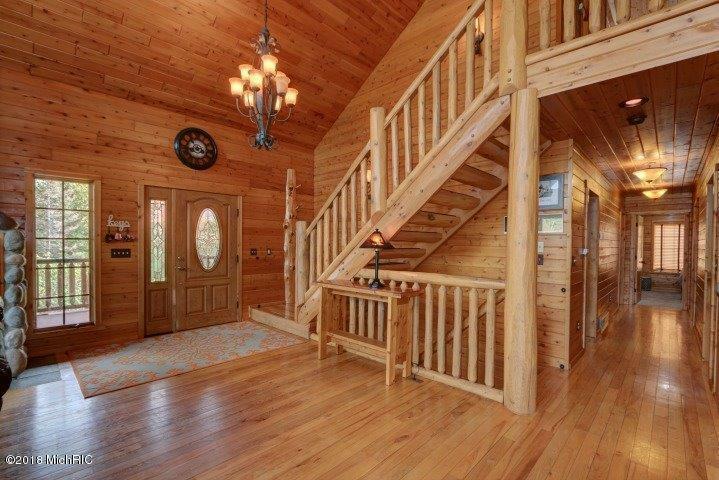 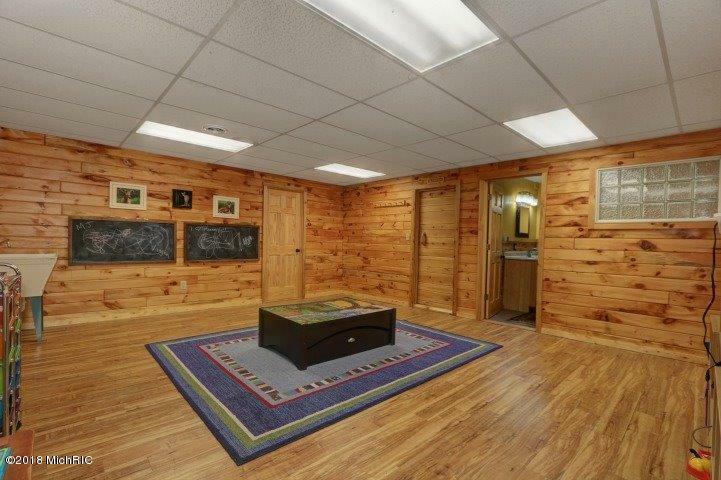 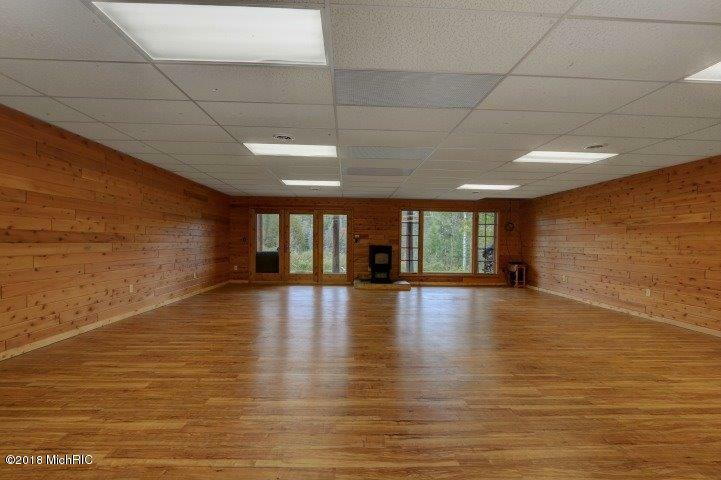 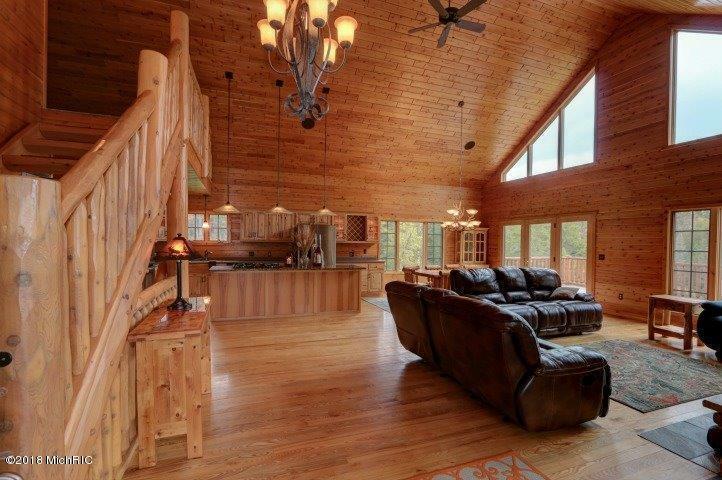 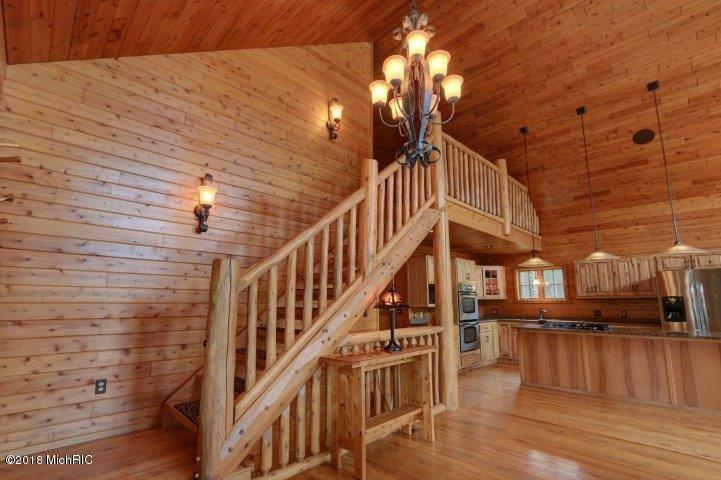 A executive 1/2 log sided home is a dream come true. 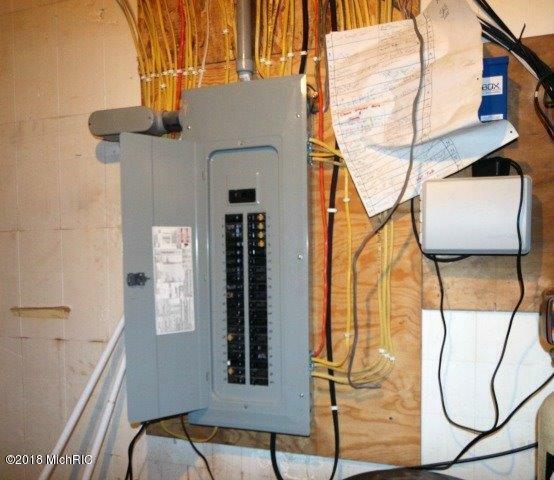 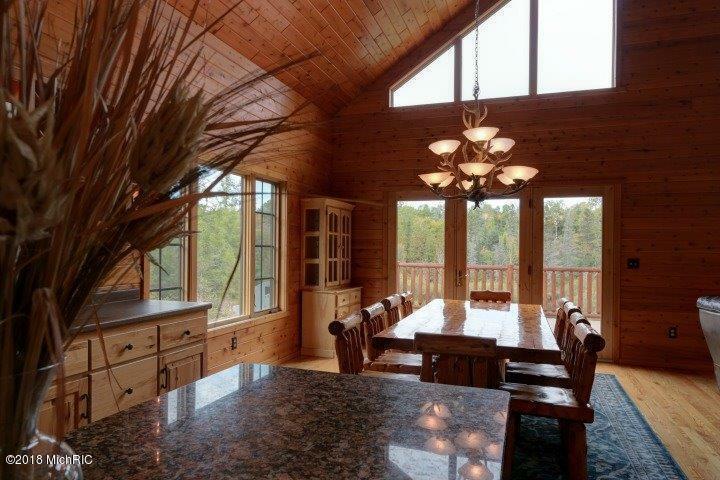 Built in 2006 w/ constant updating, has over 3000 sq ft, 3 BR, 4 baths & central air. 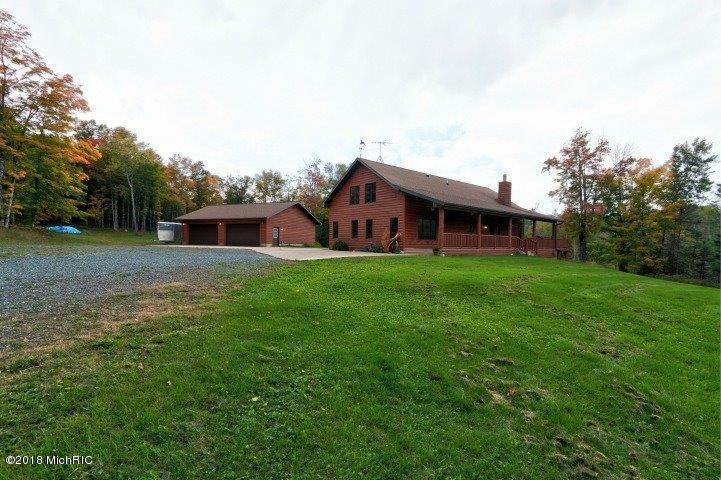 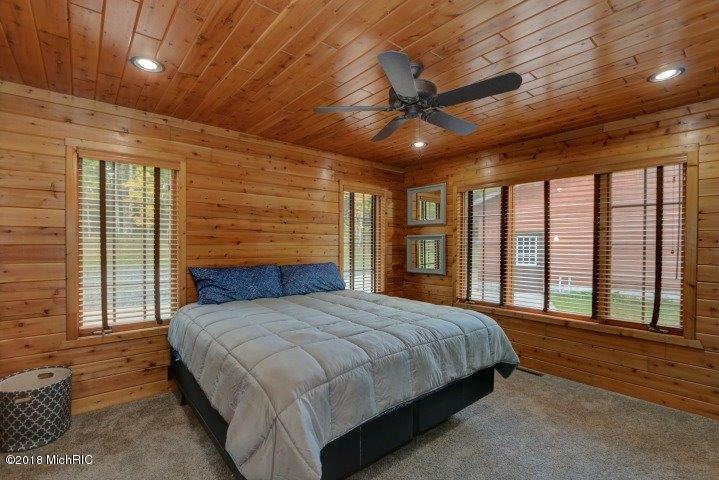 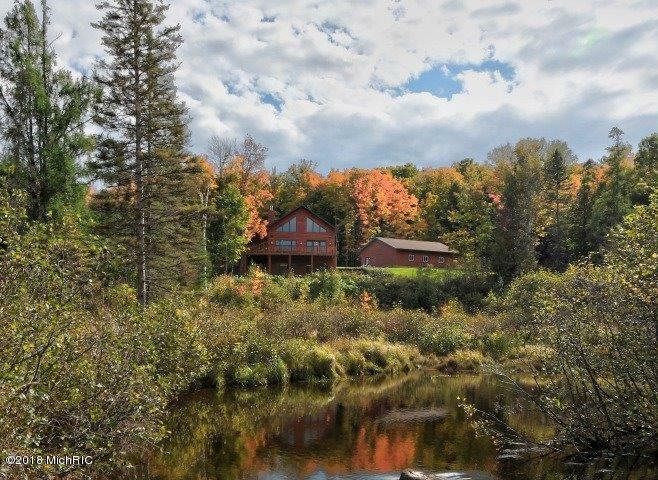 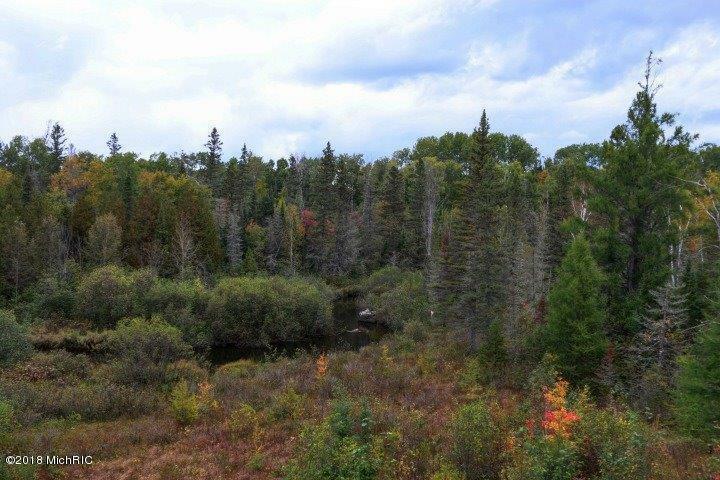 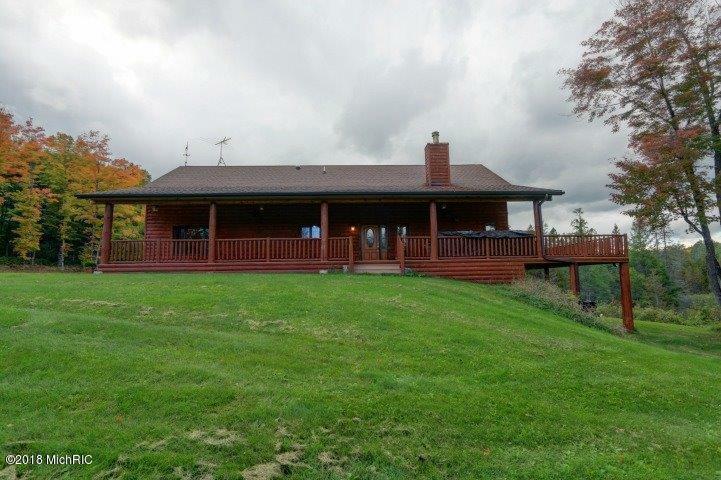 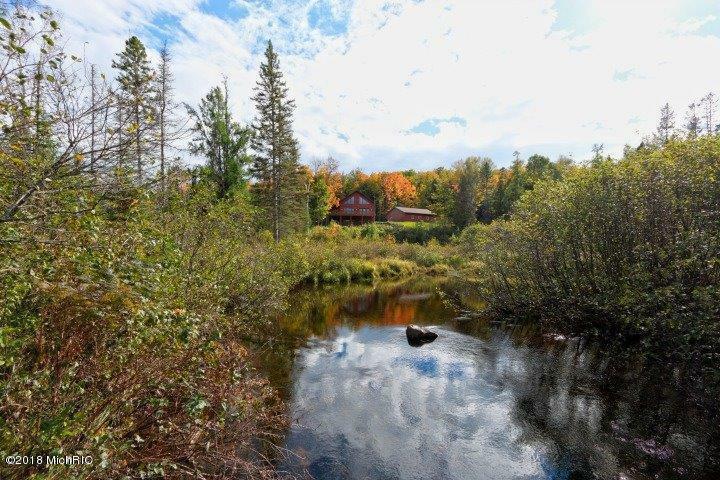 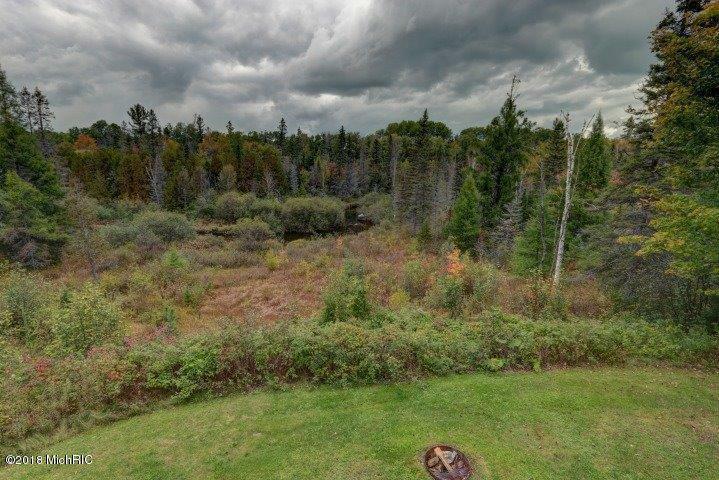 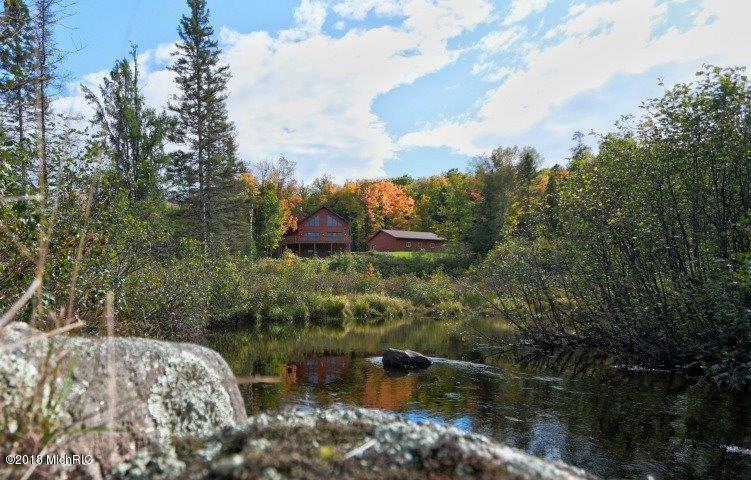 Situated on 38 mostly wooded acres, w/ the West Branch of the Sturgeon River flowing through, gives you a fabulous view and plenty of privacy! Gourmet kitchen boasts hickory cabinets, stainless steel appliances & gorgeous ash flooring. 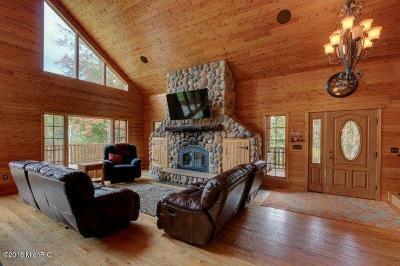 While cooking or dining, enjoya fire in your massive cultured stone fireplace. 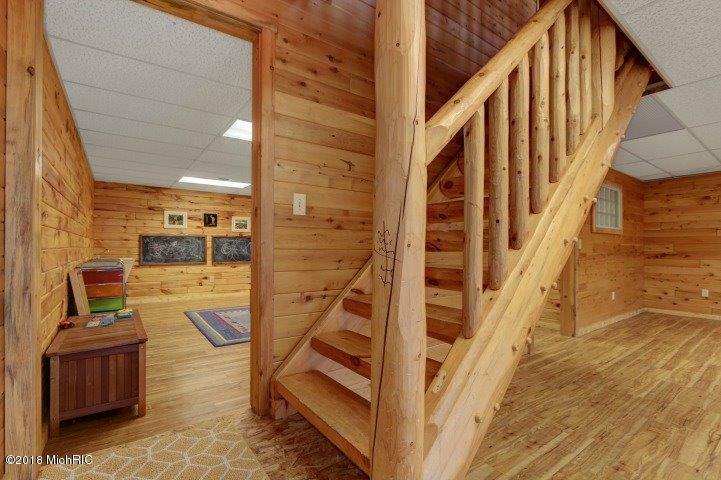 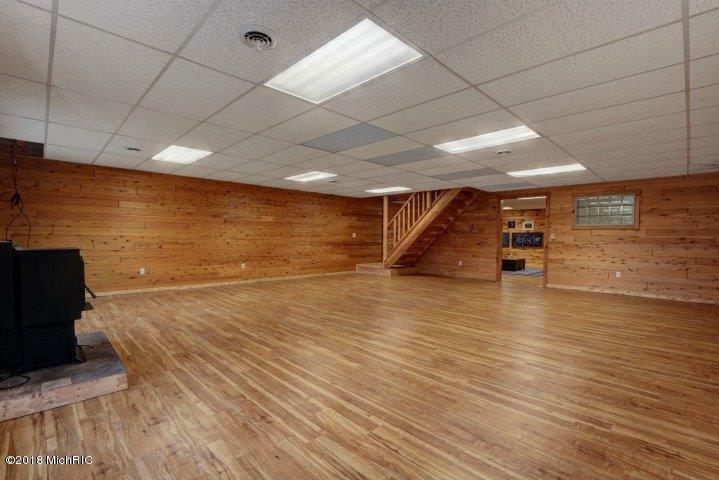 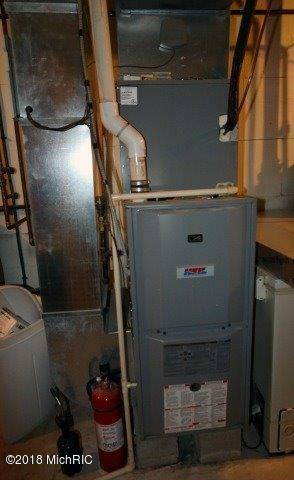 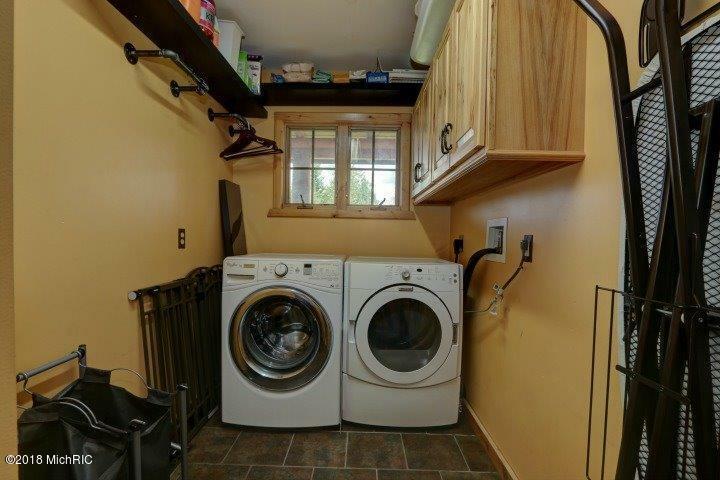 Home has 3 levels, loft w/ bedroom and bath, walk-out lower level featuring a rec room, sauna, tongue & groove throughout, a pellet stove installed in 2015. 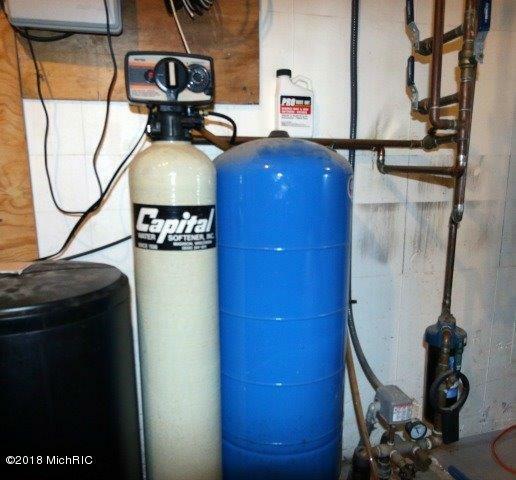 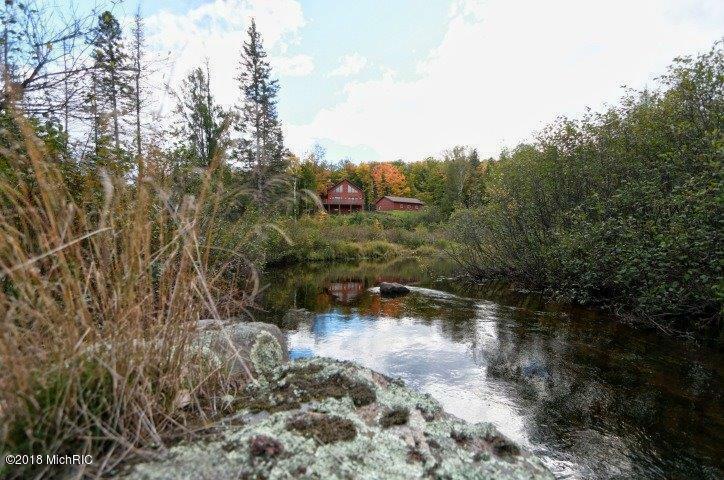 All levels have great river views & home is a short commute to Iron Mountain. 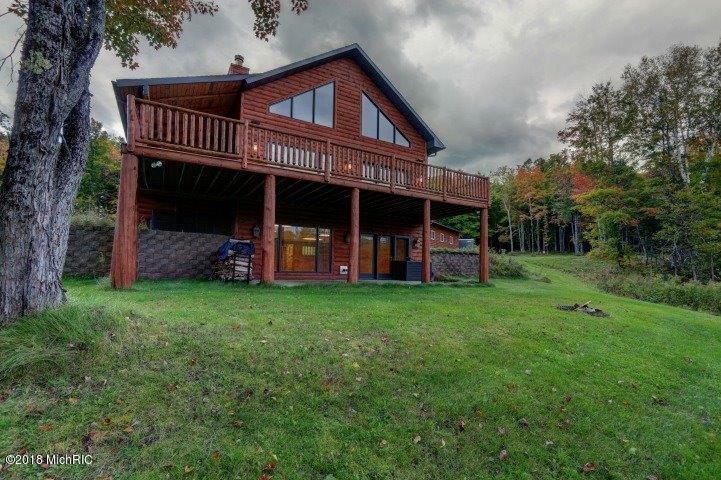 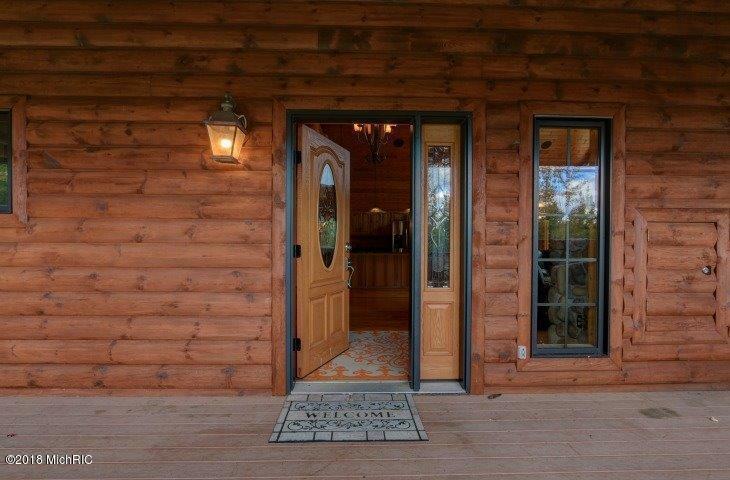 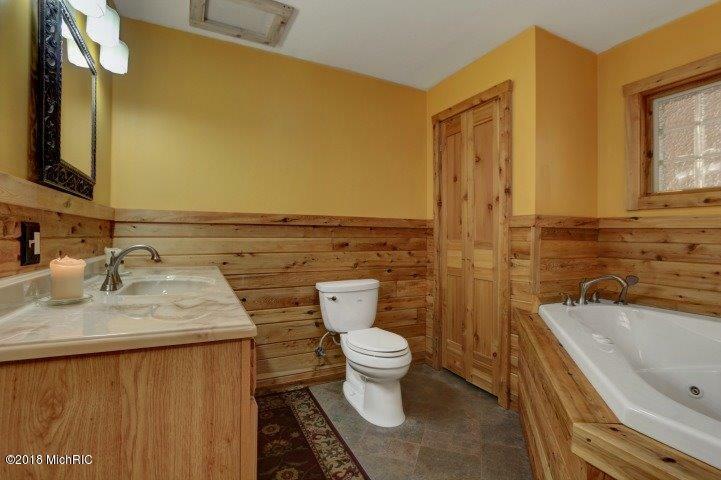 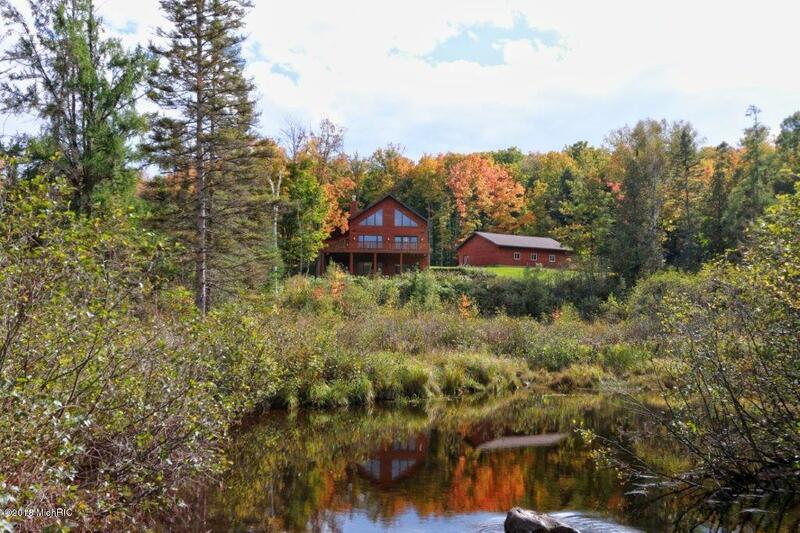 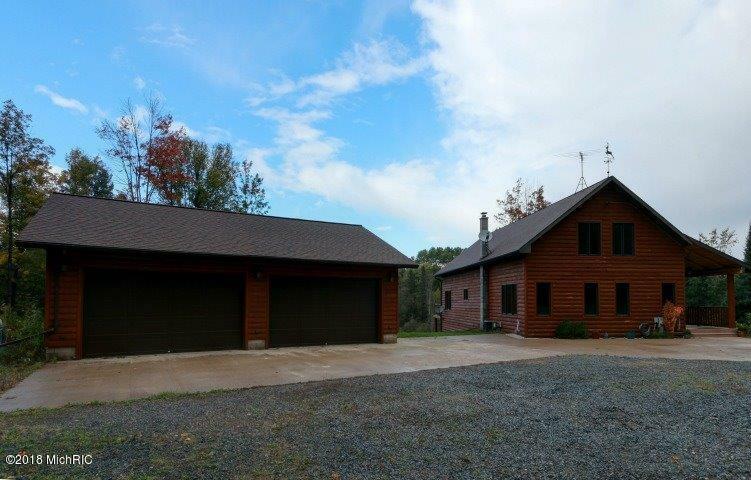 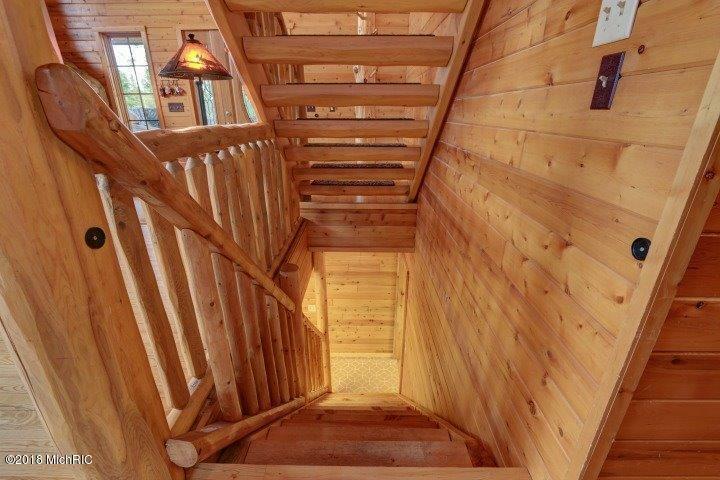 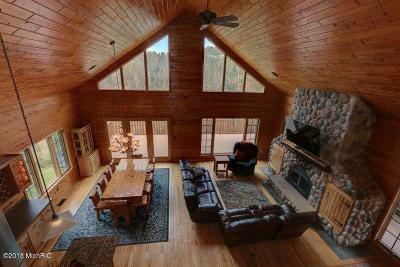 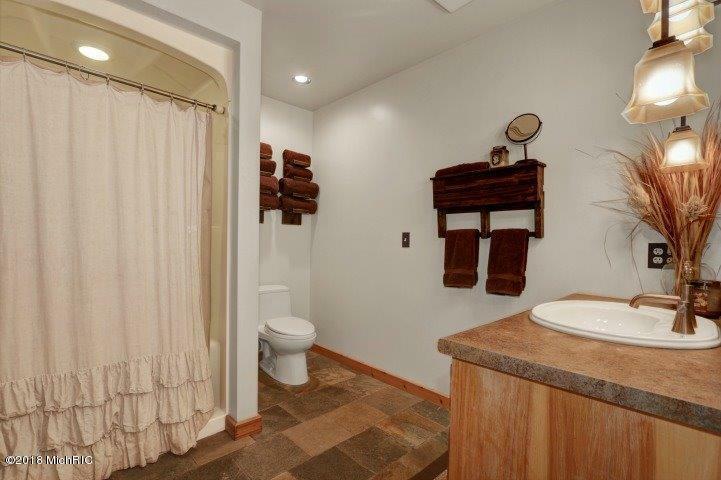 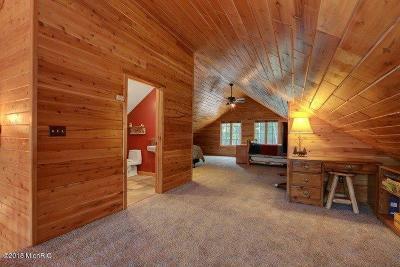 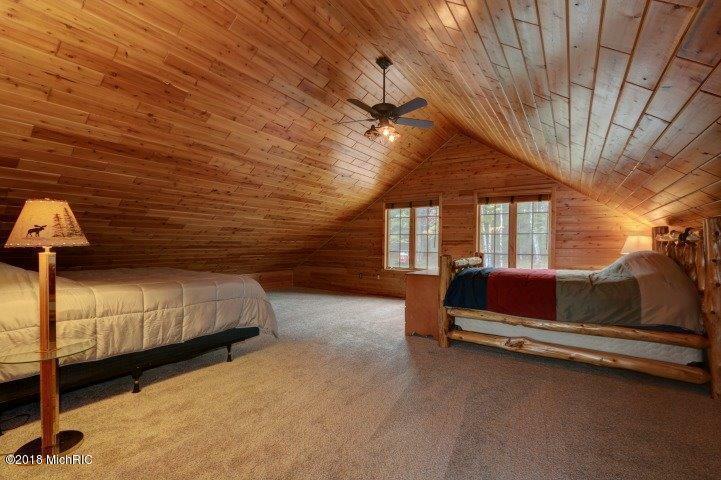 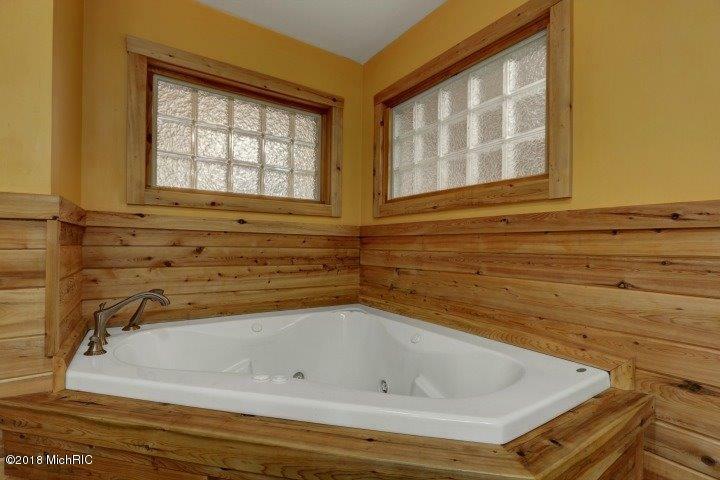 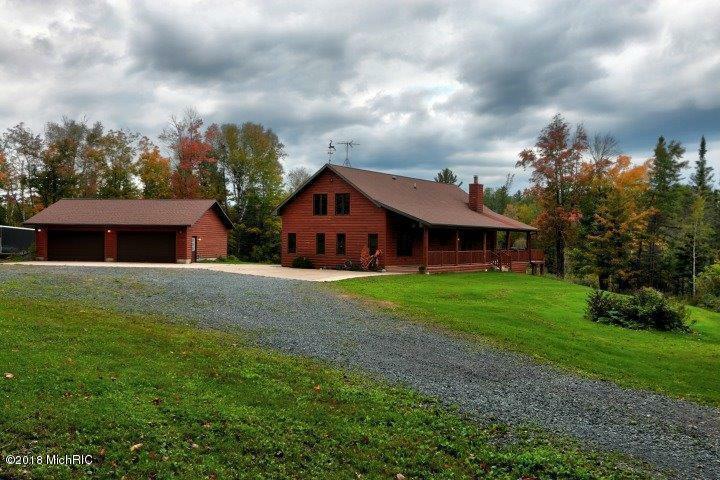 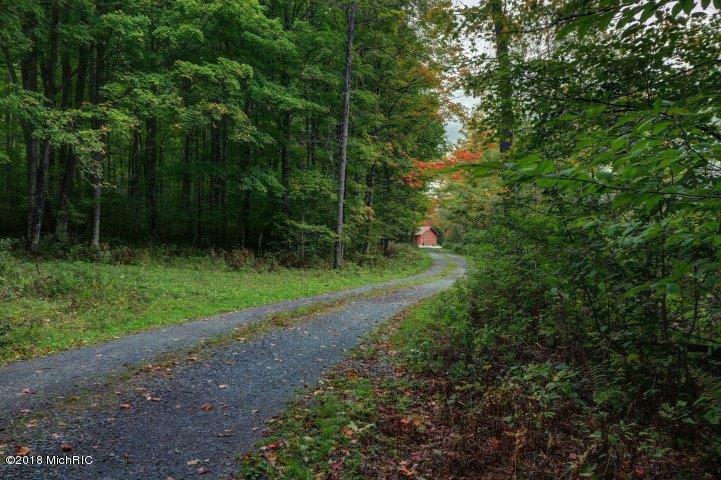 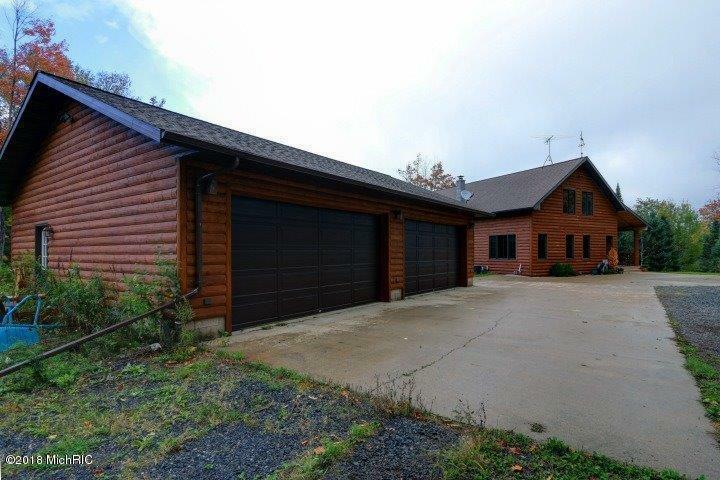 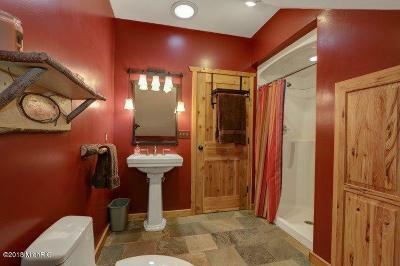 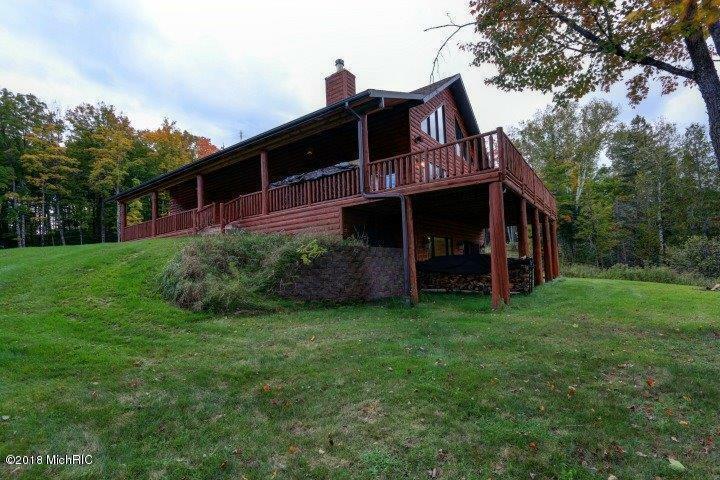 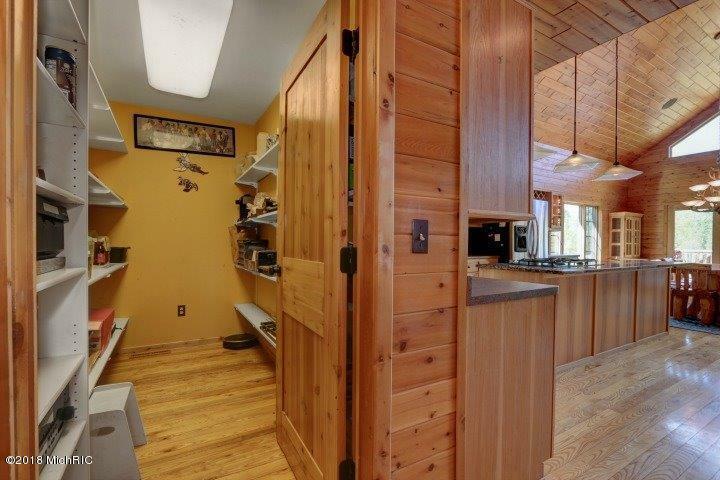 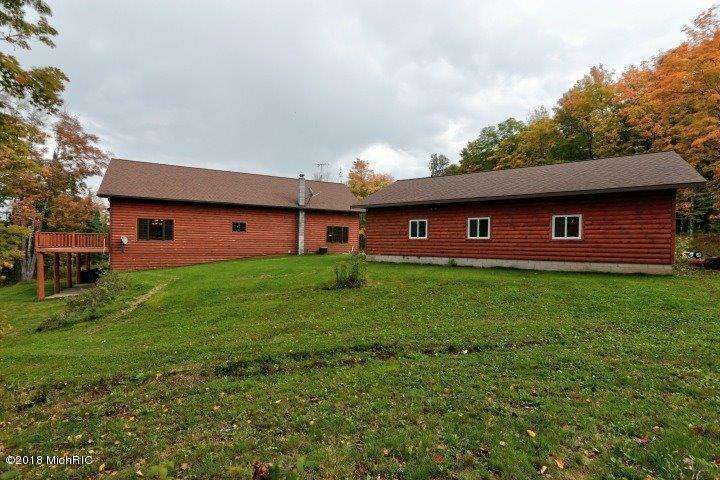 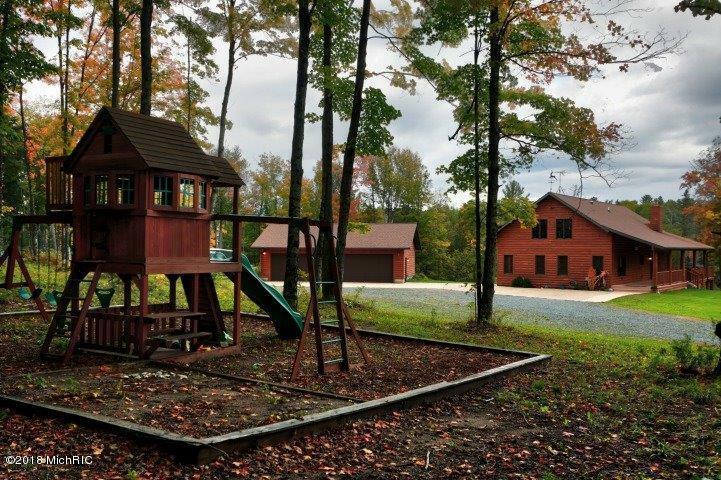 Close to hiking, skiing, ORV & snowmobile trails, near numerous golf courses and ski hills. 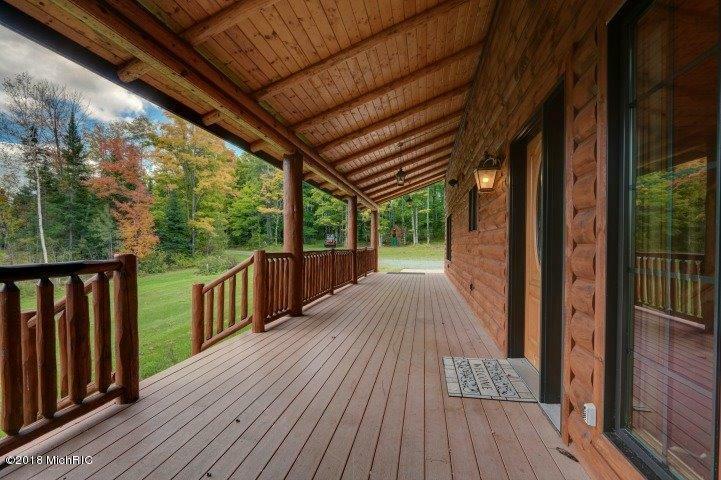 Relax under a large covered porch. 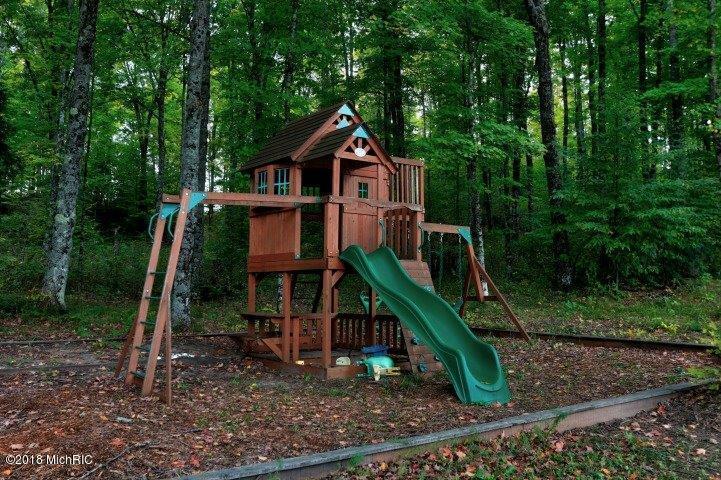 A huge 30x40 garage built in 2008 for all of your toys. 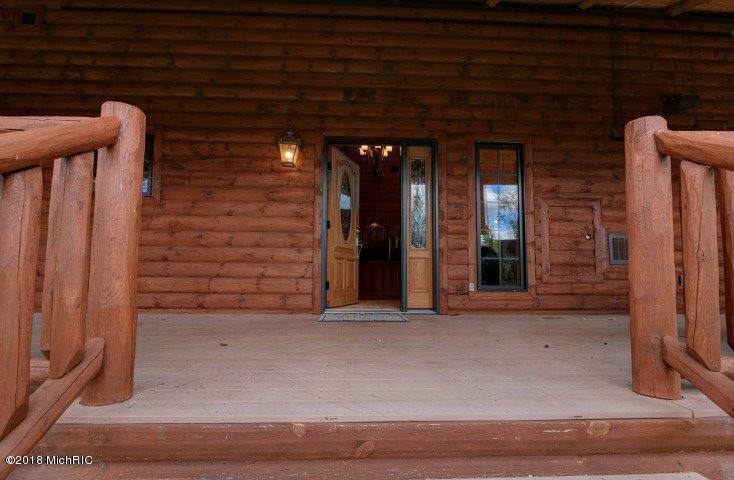 Make appt today! snowmobile trails and near numerous golf courses and ski hills. 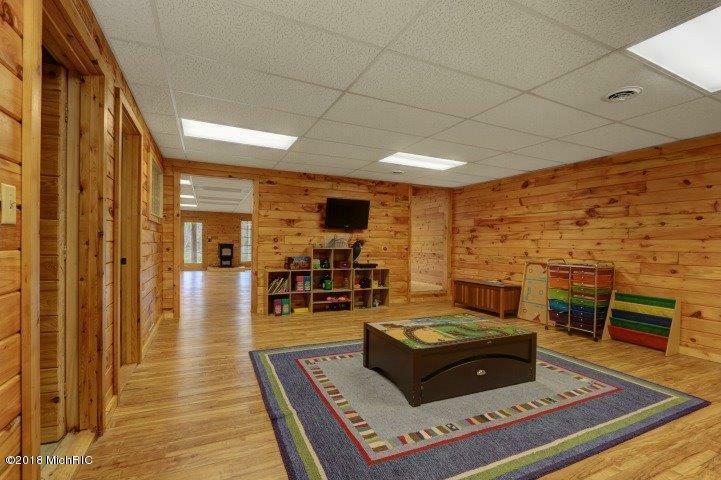 A large covered porch for your relaxation, a huge 30x40 garage built in 2008 for all of your toys. 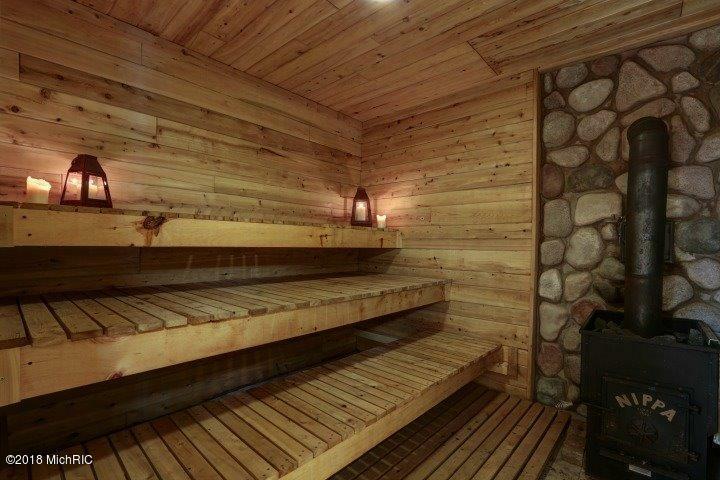 This is a once in a life time, so make your appointment now.